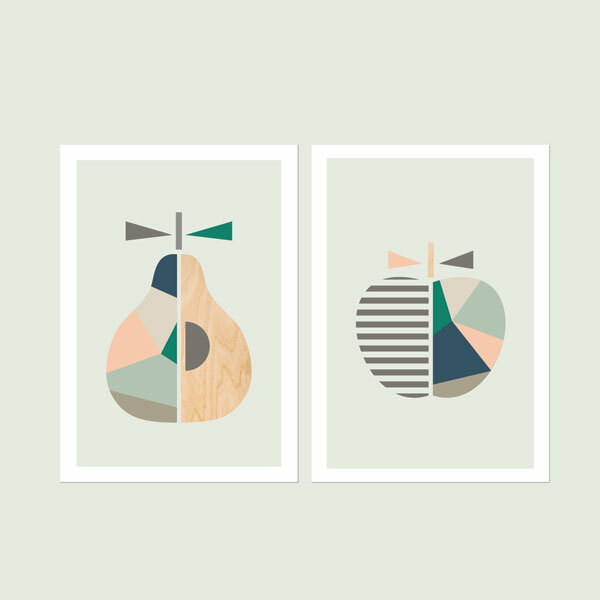 A fresh and Modern, Scandinavian-influenced Pear and Apple Series of Two Prints. This colourway is a limited edition of 50, as featured in little Chet's room on OhEightOhNine. These scandi-inspired Apple and Pears were designed to bring a clean, fresh, modern feel to a child's nursery or room, and the plywood elements will tie in nicely with any wooden furniture in your room.